All-Star mode has been a staple of the Super Smash Bros series since Melee. It’s a mode in which you take on every fighter in the roster one after the other. Here’s how to play All-Star mode in Super Smash Bros Ultimate. In Melee and Brawl, the requirement for unlocking All-Star mode was the same: unlock every character. After doing so, it was simply a case of finding the mode buried in one of the menus, and away you went. However, in Smash Bros Ultimate, the mode doesn’t have to be unlocked at all —it’s available from the very beginning. The mode is called “All-Star Smash,” and it’s tucked away behind a number of menus. Firstly, select the “Games & More” option from the main menu, then select “Mob Smash.” On this screen, you should see the “All-Star Smash” option. And that’s all there is to it. All-Star is significantly different in Super Smash Bros Ultimate than it was in previous games. In Ultimate, there are no stage transitions or anything like that. All-Star simply pits you against wave after wave of characters until you’ve defeated every character that you’ve unlocked so far. This means that if you do decide to play All-Star as the first thing that you do in Super Smash Bros Ultimate, you’ll only be fighting the original eight characters: Mario, Donkey Kong, Link, Samus, Fox, Kirby, Yoshi, and Pikachu. The greatest challenge will come after all fighters have been unlocked in Smash Bros Ultimate. After this, All-Star Smash will force you to fight over 70 characters in a single fight —even more once the DLC is out next year. 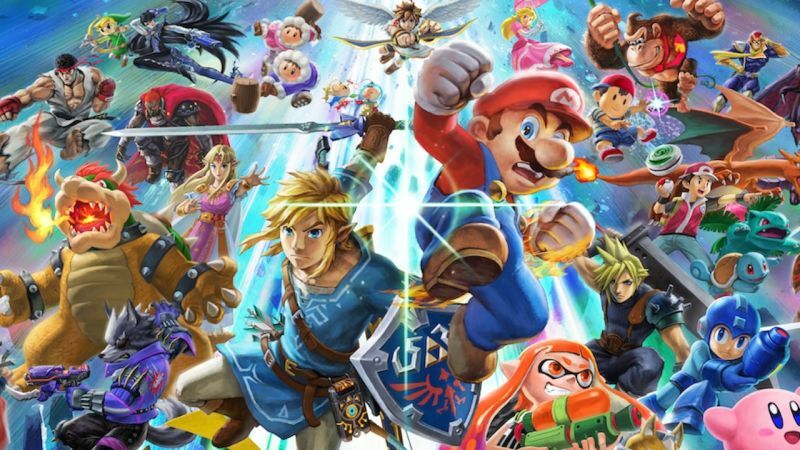 Now, this does sound daunting, but it should be noted that you’ll be fighting weakened versions of the characters in Smash Bros Ultimate, that are easier to launch. In the past, All-Star mode always had you fight opponents in stages. In Melee, opponents were chosen in a random order, and you would fight one, two, or three at a time until culminating with a gang of Mr. Game & Watches. In Brawl, characters were fought in order of series release. In the 3DS and Wii U games, characters were fought in order of the first appearance. In Ultimate, it’s not possible to heal in between rounds like previous Smash titles, as there are no rounds, so survival is key. Best of luck! That’s all there is to know about how to play All-Star mode in Super Smash Bros Ultimate. For more helpful tips and tricks on the game’s modes or characters, be sure to check out our ever-growing guide wiki.